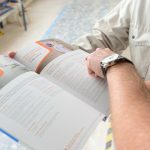 Dave Hall, National Technical Academy Manager at British Gypsum discusses why he believes ‘upskilling’ is the sector’s best hope for rejuvenation. A recent report from the Federation of Master Builders has revealed that the shortage of construction workers faced by small and medium-sized businesses has hit its worst level on record, with even fears it could derail Government projects, such as the plan to build 300,000 new houses each year. Now more than ever, the issue needs addressing and it’s vital that the industry figures out a way to fill vacant positions with skilled individuals. For many, the solution is to attract more young people into the industry, but previous efforts to do so have proven ineffective. The apprenticeship levy has not proven to be the ‘silver bullet’ that many hoped it would be. In fact, recent figures show that the number of apprenticeship starts has dropped 40 per cent this year compared to last. Similarly, the Federation of Master Builders (FMB) has criticised the government’s ‘T Level’ plans claiming students who complete the courses are unlikely to be ‘site ready’. Therefore, many are now calling for funding for different approaches that could prove more useful. One of the most popular alternatives is ‘upskilling’ – or teaching existing employees additional skills and expanding their capabilities. However, for this tactic to work, it will require a significant shift in the industry’s mindset, with more companies becoming receptive to the benefits of staff training. One persuasive argument is the range of additional benefits upskilling can bring. For one, it is proven that it can improve employee retention – an increasingly important consideration given the rising costs associated with staff turnover. Employees who are challenged to develop and grow are often the happiest within an organisation and are less likely to leave. Upskilling provides an avenue to do this and can improve levels of job satisfaction within a company. Furthermore, challenging employees and improving job satisfaction is likely to have a positive knock-on effect with customers. Employees who feel a greater sense of connection to the company they work for are more likely to promote the corporate brand, both within the organisation and externally and will work hard to keep customers happy. This in turn means customers are more inclined to be loyal and order from a company again, or recommend it to others. Even for smaller companies, the advantages of upskilling are obvious. It equips employees with the confidence and know-how to deliver best practice. Additionally, it gives smaller companies the confidence to take on contracts that have small, but additional tasks involved which may fall slightly outside their key area of focus. The time for change is now, especially with the range of innovative building products making their way to market, which fundamentally alter practices and techniques that have been commonplace for years. In the plastering and drylining sector, for example, an increasing number of innovative solutions have entered the market, including our own Gyproc Habito, Sound Solutions and ThistlePro Magnetic plaster. Without properly preparing staff, the industry will struggle to take advantage of the additional efficiencies that these advancements in technology can bring. Fortunately, there have been great improvements when it comes to industry training in the past few years. Companies such as British Gypsum have invested heavily into developing world-class training facilities to boost the process of upskilling the sector’s current talent pool. There are a number of courses available across the country that aim to continue the professional development of construction workers across the sector. What’s more, there is significant potential for legislation and regulatory requirements to have a positive impact on skill levels. Upcoming changes to the Construction Skills Certification Scheme (CSCS) and the way the Construction Industry Training Board (CITB) funds training could both improve levels of training engagement. The changes look set to streamline the process of finding and booking onto training courses, which should encourage more companies to provide upskilling opportunities for their staff. The problems previously associated with claiming grants, and the administration this created, put employers off claiming their grant. Now it is the training provider who will trigger the grant back to the employer once the training has taken place. This will greatly improve the process of passing the grant back to employers and the use of short duration courses as a way of upskilling employees within the industry. Training delivers a real return on investment, not only in terms of money but also in the future career opportunities for employees. It is a viable approach to improving productivity and could play a significant role in helping the sector overcome its current skills shortage. It’s well worth employers looking into different training providers to establish which ones might best benefit their staff and business, and equally employees themselves should push for training, reminding their employers of the benefits to them and the wider business. Only by really committing to the solution will we be able to fix this serious issue affecting our industry.